Nerdtastic: BLIZZCON: Enter the mists...if you dare. BLIZZCON: Enter the mists...if you dare. As was expected, Blizzard has revealed what will be the next expansion for World of Warcraft. 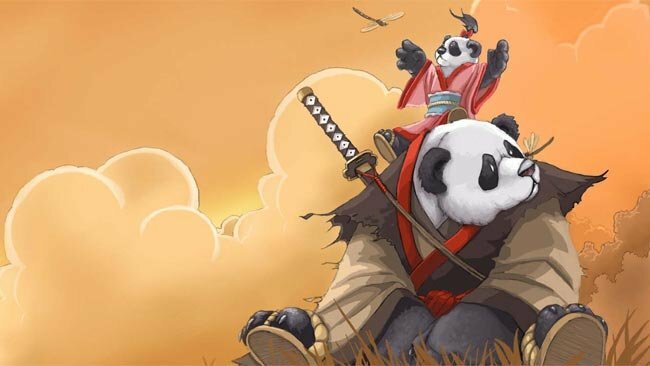 Mists of Pandaria will be the fourth expansion in the game that never ends. The new expansion will focus on the battle between alliance and horde as it seems the war between the factions is going to leap to the next level. There will be a new playable race in the Pandaren, a new playable class dubbed Monk, a level cap of 90 up from the current cap of 85, a pet battle system and a new talent system. Obviously more details should be revealed over the course of today and tomorrow so I'll be sure to post any notable news. ALSO, Blizzard will be offering year long subscriptions to WoW which will get you Diablo III for free as well as the Mists of Pandaria. Not a bad deal if you're looking to play both the expansion and D3. For more on the story jump over to 1UP HERE!